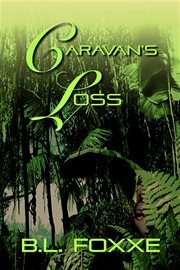 The item Caravan's loss, (ebook) represents a specific, individual, material embodiment of a distinct intellectual or artistic creation found in Charlotte Mecklenburg Library. Myra, a jungle-dwelling demon born female is an emergent dragon shifter and in a fight to survive. Her father is a demonic host doing his best to sacrifice the shifter in a portal opening. Fortunately, his attempts are continuously foiled by others, seemingly his allies, though that may change soon. A father and a son are connected to a distant jungle from their mountainous dwelling. When their paths intertwine in the near future, will the demonic portal open or snap shut permanently, or will Myra sacrifice herself to protect a precious set of lives?